The Mutts and Hounds Balmoral Tweed Dog Collar is an elegant collar for the discerning country dog! This collar is made from high quality Bruccatio leather with a strip of Yorkshire tweed to bring a touch of country chic to your dogs wardrobe. This hard wearing collar has solid brass fittings and a matching leather lead is also available. 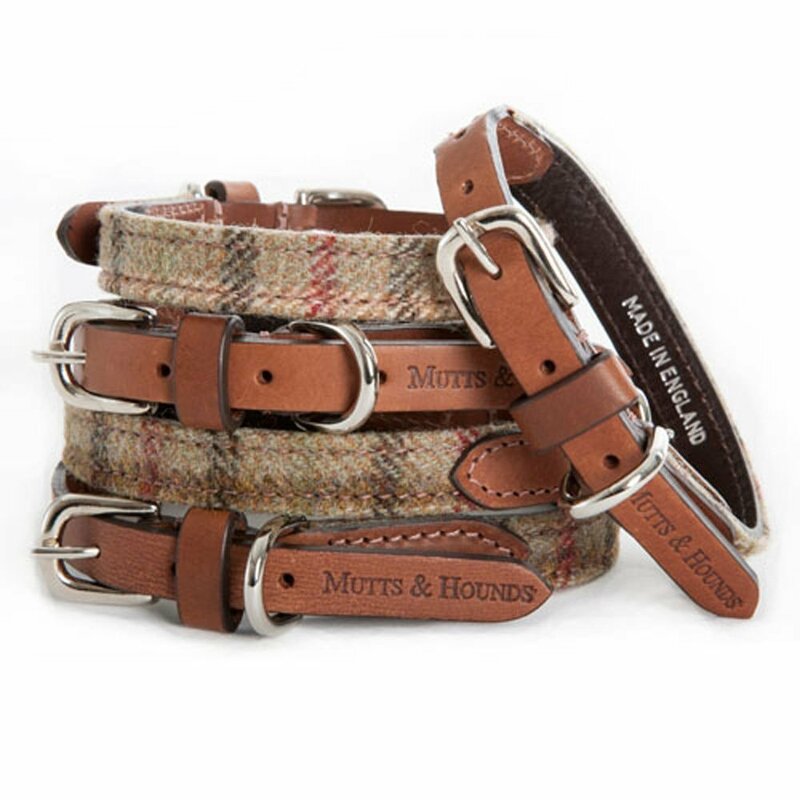 The Mutts and Hounds Balmoral Tweed Dog Collar has been lovingly hand crafted in England. XS 9"-12", Small 12"-15", Medium 15"-19", Large 19"-22"